It’s possible that you’re a business owner who has heard the phrase “workplace safety” to the point of overexposure. Perhaps, as a result, you’ve resorted to tuning it out. That doesn’t mean that the underlying purpose behind the phrase isn’t important. For starters, workplace safety is necessary for humanitarian reasons. Nobody should want to put employees in a position of unnecessary risk or subject their team members to an environment which can make them ill. Beyond that, the federal government has set in place certain guidelines regarding workplace safety. 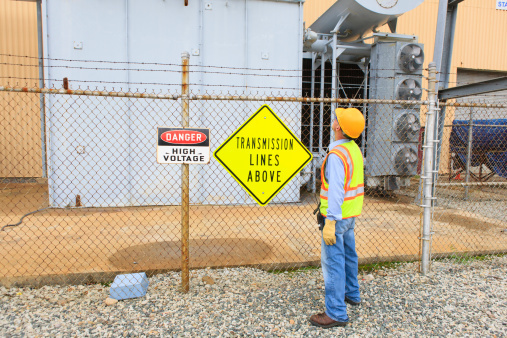 It’s incumbent upon business owners to ensure that they are compliant with Occupational Safety and Health Administration (OSHA) regulations or risk fines. Here are 6 facts about workplace safety violations. If you’re having cash flows issues with your business right now, the last thing that you need is to pay a $1,028 fine. Yet, that is the average fine levied against businesses in violation of OSHA regulations back in 2010. You may run a business that requires people to do a lot of manual labor. In some cases, that manual labor can be strenuous (e.g., if you own a moving company). Injuries that are the result of pushing, lifting, pulling, carrying, and/or holding cost businesses a combined $12.75 billion annually. That also amounts to more than 25% of costs related to workplace injuries. Another interesting statistic: Falling on the same level (such as walking on a flat surface and tripping over one’s feet) is the #2 cause of all disabling injuries. That incident costs employers almost $8 billion annually. People who have a drug habit need to pay for it somehow, right? Out of the 7.2 million adults who used drugs back in 2005, almost 13 million of them, or 74.8%, held either full or part-time jobs. Beyond that, some 10-20% of people who die while working for their employer test positive for either alcohol or illegal drugs. This is why so many companies insist on mandatory drug tests. Those who are “under the influence” put other people’s safety at risk. Hazardous materials kill almost 440,000 employees annually, according to the International Labour Organization. That organization also says that 10% of reported skin cancers are caused by workplace exposure to hazardous materials. If you own a business that doesn’t have a workplace safety program in place, be advised that you can reduce injuries by 50% if you add one. That’s according to the American Society of Safety Engineers. On an average day, about 6,000 people will die because of workplace-related diseases or accidents, according to the International Labour Organization. That amounts more than 2 million workplace deaths annually. Interestingly enough, about five times as many people die from workplace related illness than die because of an accident on the job. Workplace safety is easy to forget about, because it seems as though the day-to-day operations of the business are so time consuming that they leave little room for other matters. However, accidents and illnesses related to employment are a serious matter. Statistics related to workplace safety, such as the ones cited above, should be taken seriously.